Good Governance activist, Chandra Jayaratne has urged President Maithripala Sirisena to introduce a ministerial code of conduct, which should apply to all ministers, deputy ministers and state ministers. 1. Declaration that the Ministers are “Fit & Proper Persons”; and have discharged their duties in compliance with the Ministerial Code of Conduct; and that their conduct have not been impacted by any conflicts of interests or related party contractual interests, in the course of functioning and performing duties as a Minister. 2. Declaration of Interests and Related Party Interests – some examples of such declarations made in 2015 by Ministers of the UK government are attached” the letter stated. 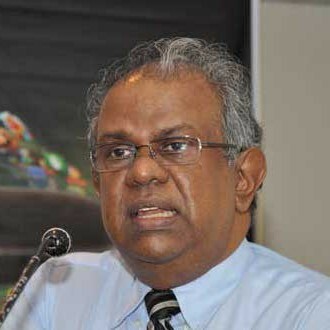 I write to You, in your capacity as the head of the Cabinet of Ministers -Article 42 (3), and appeal that You introduce, as a significantly important step in the assurance of Yahapalanaya (Good Governance), a Ministerial Code of Conduct, to apply to all persons holding Ministerial ranks in the Government ( including Deputy Ministers and State Ministers). Declaration that the Ministers are “Fit & Proper Persons”; and have discharged their duties in compliance with the Ministerial Code of Conduct; and that their conduct have not been impacted by any conflicts of interests or related party contractual interests, in the course of functioning and performing duties as a Minister. Declaration of Interests and Related Party Interests – some examples of such declarations made in 2015 by Ministers of the UK government are attached. It is further requested that You require, the Civil Society representatives of the Constitutional Council, to collectively engage in the capacity as advisors to the Cabinet, and publish an annual report on the effectiveness of upholding the Ministerial Code in General by the Cabinet Collectively and in specific an examination and report on the integrity and effectiveness of each of the holders of Ministerial rank, in managing their commitments under the Code, including the due avoidance of conflicts of interests and related party benefits, whilst functioning as a minister. A copy of the Annual Report of the Independent Adviser on Ministers Interests in the UK is also annexed. People didn’t just tell us what to do, but how to go about it. They want their politicians to uphold the highest standards of propriety. That means being transparent in all we do. It means rooting out any form of misconduct. It means spending every pound carefully -because it’s not our money; it’s taxpayers’ money. This is good government. And it is precious. Around the world, Parliaments have copied the Westminster system. But they also want to copy the way we conduct our politics, because they see that transparency and openness go hand in hand with progress and prosperity. The principle of collective responsibility requires that Ministers should be able to express their views frankly in the expectation that they can argue freely in private while maintaining a united front when decisions have been reached. This in turn requires that the privacy of opinions expressed in Cabinet and Ministerial Committees, including in correspondence, should be maintained. appointments should be made in accordance with the requirements of the law and, where appropriate, the Code of Practice issued by the Commissioner for Public Appointments. Ministers have a duty to ensure that influence over civil service and public appointments is not abused for partisan purposes. Ministers must uphold the political impartiality of the Civil Service, and not ask civil servants to act in any way which would conflict with the Civil Service Code and the requirements of the Constitutional Reform and Governance Act 2010.
between their public duties and their private interests, financial or otherwise. are set out in the Government Communication Service’s Propriety Guidance – Guidance on Government Communications. When Parliament is in session, the most important announcements of Government policy should be made in the first instance, in Parliament. Ministers must ensure that they always make efficient and cost – effective travel arrangements. Official transport should not normally be used for travel arrangements arising from Party or private business, except where this is justified on security grounds. I remain confident that the above appeal will receive the early review, discussion and effective implementation by the Cabinet led by you, thus reassuring the voters who were moved by the commitment and promise of delivery of Yahapalanaya under the Government led by you that the governance regime hoped for has truly been delivered by You . Not only to ministries but also where it is necesarry. Most of all Universities and Schools. Then oher offices in colombo and other areas. Then not forgetting pradeshieeya saba where diverse high profiles anomoalies were reported during the days of Mr Maharaja. It is right first ministries then their sub mnistries of departments.. where ever it is necessary all those structures should work to letter then only we can expect Yahapalana priniciple can be seen in their day today life…. else, those who make jokes on GOOD GOVERANCE can stay attackin the other. Not forgetting Temples where all those so called buddhists mingle with the others…. Hamuduruwos should also be subjected ot code of behaviours… when focusing on Hyenes like BBS lead monk. Those men wearing robes should be taguth the law of the day..
And against – falshhood to be spread for their own survivial could also ruin a life of citizen or even migrants lviing in the country, but lanka with open for laws or lack of some laws have taken us to this level. I believe, if laws are not in actions, human beings in general become thirisannu – animals. Be it within Sanga Community or laythe people is no difference inthe country today. Lately, I happened to watch videos posted from srilanka – not about harming animals in public places, but also one step father is proved to have killed his step little son or daughter by pressing on the victimzied chest…. that then the perpetrator explains further the manner he did it… can you imagine guys ? These are the real examples … had we had harder laws enforced, nothign woudl have occured.. at leats the rates woudl have decreased drastically. These are the truths about my home country… Sadly, rulers are not that intelligent to see it right. They are open to get aids for the improvements of human rights, but their move is very slow to me. Not even bandy legged men would move that pace. If S pore can introduce rigorous laws to its folks, why not lankens ? They got pay hikes, and now they have to do their part by being obedient to rule of laws. Basta. Progress will not come alone. There each and everyone of the nation should do their own part. Politicians are there to pave the way people to get systemized and deliver their productivities. It is a good thing that VW will start building a production site in srilanka. German will for sure teach lankens in terms of work for letter. No doubtabout that. Now with Nurses being recruited for UK – the exchanges with the country will get open… more investments, much better the standards of the avearge will become. The idea sounded great until you brought in the British Government. Let us set OUR own standards and chart OUR own affairs. Now, apropos your proposed code of conduct:The suggestion is all well and good but the persisting problem is the quality of the power hungry people that our given nominations by our political leaders. Not forgetting those who sneak in through the National List. 75% of our politicians are in to serve themselves NOT the country. The Leaders of the major parties CAN regulate the quality and integrity of the people they chose to nominate. Sadly, ever since the fifties our leaders have taken the path of least resistance and let in shoals of thugs, crooks, drug dealers and other undesirables in their desire to take power. Let our party leaders raise the quality of our political class, then a code of conduct may even be unnecessary. If you need to control the behaviour of our parliamentarians I suggest you appoint Sajin Vass and Duminda Silva as the monitoring MPs, with full powers to slap and shoot to kill, of course with impunity. Aren’t you going to thank me for my brilliant idea? I hooted with delight at your very fine suggestion. A sort of ‘let the poachers supervise the gamekeepers’. Of course, Sajin has already shown us how with his no-nonsense handling of the diplomatic corps. Actually, your brilliant idea has been used in a more subtle form by several of our leaders over the last few decades. An interesting and practical set of suggestions. The pompous suggestions/statements made by the Chandra Jayaratnes of this world are USELESS and only serve to fuel senseless debate, particularly when they reference nations like the UK which has been beset by a whole series of scandals involving members of the House of Commons, right to the very top. Poor Mr Jayaratne has a short memory or is oblivious to the recent shenanigans of the denizens of the Palace of Westminster. The Right Honourables, and the (Plain) Honourables, not forgetting His Lordships, are all capable and most adept at massaging and milking their expense accounts (funded generously by Her Majesty’s taxpayers). Another thing that never ceases to amaze me is the generous subsidies that are available at the troughs and watering holes of our elected representatives. No wonder they are out of touch with the common Banda’s and Biso Hamine’s. Let our Party Leaders raise the Quality of our Political class? Yahapalana PM Batalanada Ranil has raised it to a new level mate..
Obviously you haven’t seen the performances of Batalanada’s latest Boy Brigade lead by Digital Harin ,Thevere and Rajitha Junior who are foreman material to lead the Elite, and Anglican Faction going forward. Oh come on, my Elders have seen the quality and performance of the the politicos, the bureaucrats, law enforcement and the judiciary, especially from 2005 to 2015. Basil seems to be in difficult as he cannot remember his properties or hasn’t in possession of documents. Go help him, he might buy you a drink or two for forging the deeds. May be he is looking for a Benami. All this is well and good and long overdue. All credit to you for your effort. But unfortunately, you can’t teach an old dog new tricks. Do you realize that some of these people have been ministers since 1994! Like imposing presidential term limits again, what we need is not some cockamamie code of conduct which is not worth the paper it’s written on, as no one is going to adhere to it, but to limit the damn number of ministers to 20 and MPs to 100. Even if the ministers break the code of conduct it’ll be only 20 people breaking it, not 94! That itself is a step in the right direction. In SL, the trick is, not to introduce a code of conduct that no one is going to follow, but to limit the number of people who can break it. You and I both know that these are the meaningful reforms that will take the country forward. Be realistic. We both know our fellow countrymen; nothing’s gonna change. We are just standing on our heads and whistling Dixie from our behinds. SL is not a place where you can appeal to reason. It’s a place where you go to the temple every morning and worship Lord Buddha with the utmost piousness and walk out thinking who am I going to screw/swindle today. Having term limits will not make a difference either. All it will do is have these MP’s/Ministers promote their offspring to fill the vacancy before leaving. Look around you. How many father/son combos do you see? How many “heirs” do you see? The problem is NOT that the Indian youth will take away jobs of the Sri Lankan youth and take them to India. The REAL PROBLEM is that the Indian youth will take away the jobs of the Sri Lankan youth and STAY IN SRI LANKA, which is what’s going to happen. Also, lets not forget that little Kavinda’s daddy war an ardent supporter of the LTTE. There must be a strong scrutinising and implementing mechanism. This should be extended to Members of the Parliament, the Provincial Councils and th local councils. How about Senior Police Officers and the Judges? Certainly we have to address Ministerial off-springs too. What’s the point in introducing a Code of Conduct when everyone from Sirisena downwards will break it? Is Sirisena going to take himself to court? The writer has failed to tell the President “Ova Denu Parahata, Thama Sammathaye Pihita Sita” – (Follow what you preach before preaching to others). The problem is there are enough good proposals, but none of them work with the grass eating people who are the majority inthe country. So there should be plan B to go for that… With FCID or other bodies being appointed how many of high criminals have been convicted with maximum punishments…..
Not a single 1… so what have they been doing to this date ? Is FCID a teethless body ? We thought at least one of the sharks would have been kept in Prison by now – why do they let Basil to decieve them ? Why cant the catch Udayanga Weeratunga yet if they have been working with inter pol ? Why whay..
How many of our WHYs have been addressed by them by now ? Not even a single case is finalized ? What is with Avan Gurad or other cases of high abuses ? Another wasted peace of paper unless there is a effective law to make them abide by it overlooked by independent law enforcement authorities and not the present slaving, castrated puppets to the people in power. Will be like code of conduct to politicians, prosecuting politicians and bureaucrats who plundered the country. Both Maithripala and Ranil are silent act like dumb and deaf. 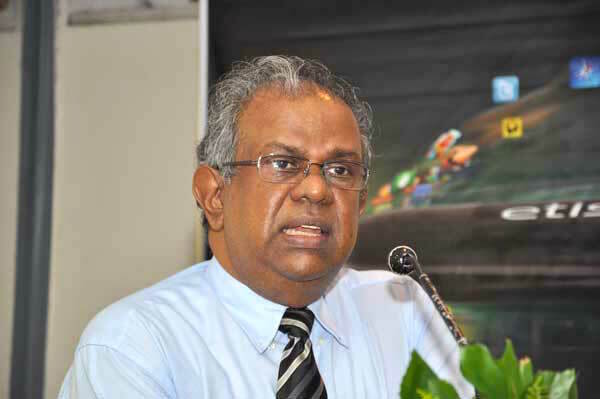 Another request – Mr Jayaratne please request this from the Prime Minister. Good Luck CJ for your noble wish, but fat chance that you would get this Code of Discipline from these unruly thugs. You would get a better response from a pack of hyaenas. Even in China and Vietnam, every ten years the whole top changes. In mother Lanka, ministers are for life, they sit in seat until death but they shuffle the subjects like card shuffling, many of them find it difficult to keep few steps. In Europe the top posts in the business sector are on contract basis, if they perform well, it’s renewed, even if they perform well, they never keep any one for longer period. Like people get color blind, if one stays longer, he/she tends to over look many things, at times it create terrible consequences. Also when young and new blood is infused to any organization, it tends to reinvigorate and produce positives results. For the sake of the country these ageing politicians must give room for new bloods. This too should be taken into consideration in the new constitution. Daya, Gamage, Rajitha Senarathna,Junior, Field Marshall, Duminda Dissanayaka,Malik Samrawickrema, Baththudeen, Hakeem, Kabir, Muththettuwa, Lanza,and Thevere are all mates of the Yahapalana PM Batalanada Ranil. And some were shoe honed in to Yahapalana Parliament by himself. Bodhi Sira himself said the other day on Prime Time TV , that he got the ” Files” of all Drug Barons Importers and Dealers , not in the same detail though. But he openly admitted to the Yahapalana suckers, that he can’t do anything because the “Drug dealers” will roll him. Is it an oversight Mr Jayaratahna ? I mean the Address..
As usual Chandra Jayaratna is joking – or dreaming. We are talking about Sri Lanka – the thrice blessed Buddhist nation. I assure Chandra that not a single Sri Lankan politician will pass this test – not the politicians of the past, not those of now nor those in the foreseeable future. I believe all these men dont know the ground situation of the country – WHICH is people would not be tamed so long the ground structures stay unchanged. Talk to 1000 of cross section of the country – and bring me the views related to day today issues. There you will see the realities of what peoples mind sets are filled with. We perfectly know these were funded by State treatury – so …. I think media men should correct the people s mind… else, these stupid folks will stay attacking any good moves being done for them. One can introduce many such Utopian proposals.But who will obey.How can they ensure acceptance and committment?